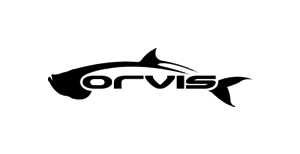 Get a FREE Fish Sticker from Orvis! A deal you want to catch! Orvis is offering a free sticker in exchange for signing up for their e-mail list. Orvis is an outdoor gear company, so it’s fitting that the free sticker they are offering is shaped like a fish. To sign up, just go to their official website and fill out the online form to recieve e-mails about the latest outdoor gear. The website states that upon signing up, you will be the first to know about their new “collections, special events, online sales, and more”. It also mentions that after filling out the form, you will recieve the freebie shortly, though it is limited to “one sticker per household”. So no getting greedy.